Dave is a strategic professional known for "getting things done," providing value through advocacy and counsel in challenging legal, business, regulatory, governmental compliance, energy & technology arenas with an extensive track record of success in meeting tough challenges. Dave's track record of hands-on courtroom, appellate and regulatory legal representation includes winning scores of jury trials, landmark industry & regulatory proceedings including complex commercial & contract cases, and successful handling of cases involving protection of intellectual property, theft of trade secrets, energy and trading, transmission, employment law, "NIMBY" cases, along with nuisance, "takings", bankruptcy, chemical exposure, products liability, wrongful death and catastrophic injury claims. In addition, Dave spent nearly a decade with one of the United States' leading Fortune 200 companies, NextEra Energy/Florida Power & Light, (with operations in 26 states, Canada and Spain), pursuing solutions to our nation's energy challenges. His responsibilities at NextEra/Florida Power & Light extended beyond traditional legal work, including serving as a corporate officer responsible for special projects, and development and management of corporate strategy and key initiatives. In two of his last roles at the company, he was asked to take charge of, revamp and re-shape the company's state legal regulatory and governmental policy group with responsibility across the nation outside of Florida, and thereafter, was assigned to Washington, D.C. to manage the company's federal governmental affairs office and to secure the company's two most important governmental policy initiatives. Thereafter, he served as Senior Policy Advisor for a respected Seattle-based technology company. 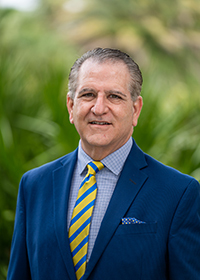 Dave completed his undergraduate studies with dual degrees in Political Science and History from Florida State University in 1982, and earned his Juris Doctor law degree from the University of Miami School of Law in 1985. He is a member of The Florida Bar, and in addition to the Northern Palm Beach Chamber of Commerce, has served on the Board of Trustees for the National Parks Trust and as a Board Member for the Center for Energy Efficiency and Renewable Technology, on Next Era's Operating Committee and as a member of NextEra's Corporate Risk Management Committee.